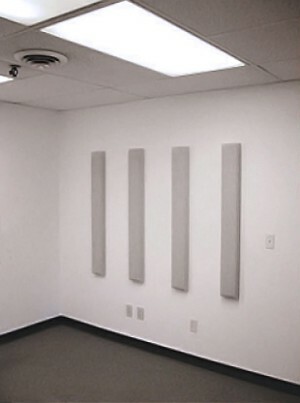 Material Clear Voice acoustic panels. Thickness 2″	Thick × 6″	Wide × 48″	Long. Color FR701 (custom colors also available) over fiberglass fill. 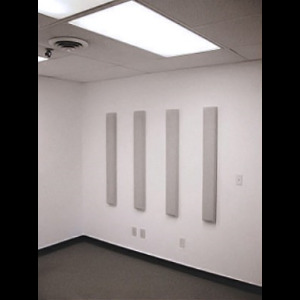 Flammability ASTM E 84, Class A. Installation Direct glue, impaling clips, z-clips, velcro. Type A Mounting High NRC values are due to Edge effect and diffraction.